Just as individuals are given credit ratings, which are taken into consideration to evaluate their credit-worthiness, corporate also have a credit score. This is applied in particular to bonds and other debt securities, rather than to the company that deals with these financial instruments. It will be used when an individual investor wishes to put his hard-earned money into an investment instrument, as it reflects how trustworthy the company and the scheme really is and whether it will be able to live up to its promises in terms of a financial benefit. A low corporate credit rating indicates a risky business and it is best to stay away from such investment avenues. When a company is based in the same state or country, it is possible to carry out some investigation into the background of the scheme, the board of directors, their mission statement and their previous track record. But this becomes difficult, or even impossible, in the case of an international firm. This is when Your Personal Financial Mentor advocates the use of corporate credit ratings. They are also useful for start-up companies and countries with emerging economies, since they do not have a past proven record to back their offerings. These ratings also motivates companies strive to perform better and to share their results and earnings with investors better. There are two kinds of corporate credit ratings – short term and long term. The former gives the probability of an investment’s outcome within the span of a year, while the latter is for a longer time period and is thus a better indication of the financial stability of a company and the country in which it is based. A company dealing with foreign currency should have sufficient foreign reserves; else it will be given a poor credit score. Companies having a high rating will naturally attract more foreign investors, thereby boosting the country’s economy. Corporate credit scores also take political situations or national risks into consideration. 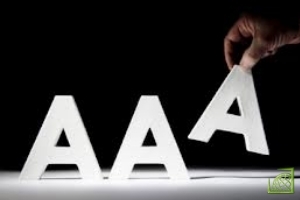 The most popular international agencies that handle corporate credit ratings are Moody’s, Fitch and Standard & Poor’s. Each agency has its own rating system, but in general, they include alphabets, ‘A’ being best and ‘D’ being poorest. Usually, anything below a B is considered a speculative or junk bond. Some agencies may use sets of single, double and triple letters, while others combine alphabets and numbers. Whatever be the system followed, a wise investor will always check the corporate credit rating before going ahead with an investment into debt securities. « What are the Different Types of Small Business Insurance?